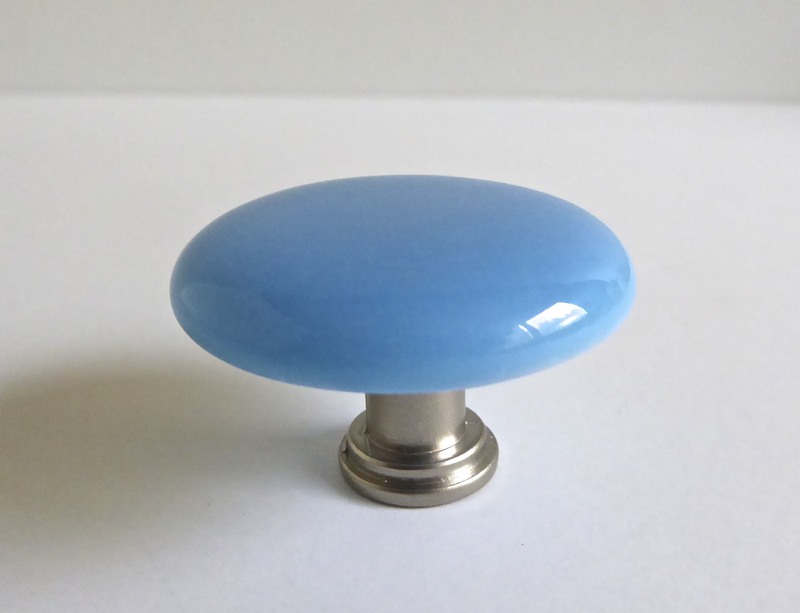 Handmade fused glass cabinet door knobs made for you in my Portland glass studio. This listing shows the five of the colors of solid green knobs that are currently available. These are made to order and can be ordered in quantities for your renovation project! Please contact me with any questions on multiple quantities before you place your order, so that any applicable discounts may be applied. Knob size is 1-7/16" on a 16 mm high base (approximately 5/8"). Knob base is threaded for a standard 8-32 knob screw to a depth of 1/4". Each knob purchased includes a standard 8-32 screw. Four base options are available in any of the colors you choose (shown here with satin nickel and oil rubbed bronze, but any of these colors can be made with other base colors shown here). For matching drawer pulls that are 1-7/16" by 4-1/2" see the last photo and shop link here.